Tossing together a panzanella salad, typically consisting of tomatoes, chunks of bread, cucumber, red onion and basil, is a delicious and easy dish for any occasion! It might surprise you to know that tomatoes weren't always the star of the panzanella salad show. As early as the 14th century, Italians didn't want to waste bread that had gone stale so they would toss it with whatever vegetables were on hand. While diced cucumber, red onion, and basil have historically been staples in the panzanella, tomatoes did not become a popular addition until the 20th century. 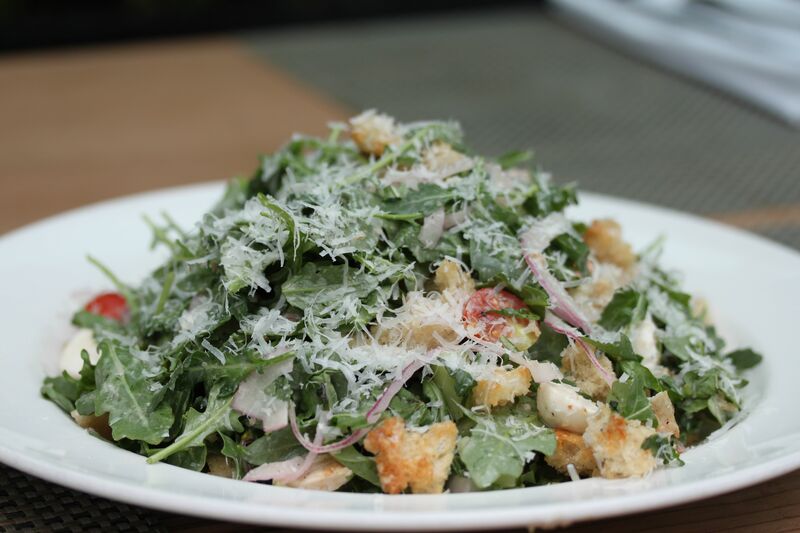 Now, there are many variations of this heavenly salad, all of which are sure to please your pallet. The recipe below is on the summer menu at Esquire Grill on 13th and K Streets in downtown Sacramento. 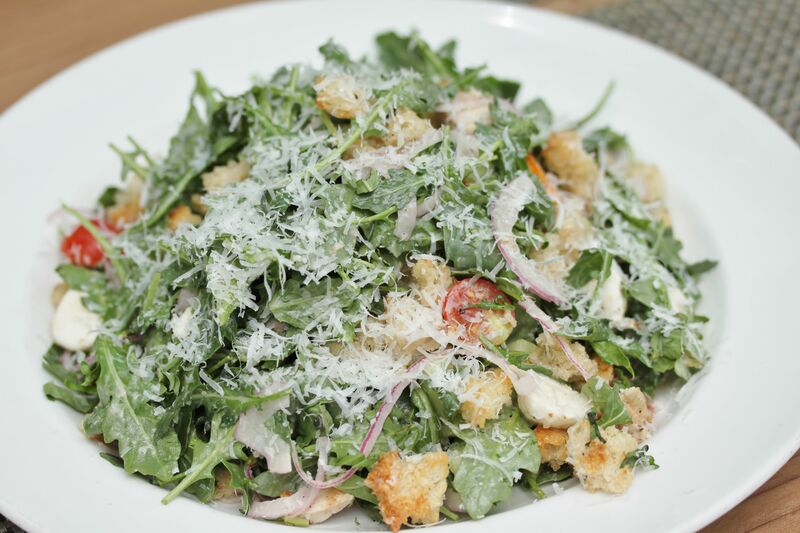 It is a modern twist on a classic recipe with the addition of chicken and arugula. 1. Remove all crust from bread and cut into 1" slices. 2. Brush bread with olive oil and lightly grill. 3. Tear (or cut) bread into 1" cubes. 4. Peel, seed and slice cucumber. 5. Thinly slice the cucumber lengthwise. 6. In a medium bowl, combine red wine vinegar, salt and pepper. 7. Whisk in olive oil. 8. In a large bowl, combine all ingredients and dressing, except for the cheese. 9. Sprinkle pecorino cheese on top. 10. Try to share with others, and enjoy!